Bristol Rovers have called a number of football grounds home over the years. The Gas currently play at The Memorial Stadium in Horfield, Bristol. They moved into ‘The Mem’ as its known by fans as tenants at the beginning of the 1996–97 season, but purchased it two years later from Bristol Rugby. 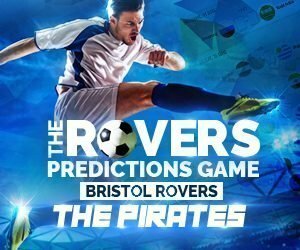 For the majority of their history, Bristol Rovers have played their home games at the Eastville Stadium, where they remained for a period of 89 years from 1897–1986. Financial problems led to the team being forced to leave Eastville, and they found a temporary home at Twerton Park, the home of Bath City. They spent a decade at Twerton Park before returning to Bristol to play at the Memorial Stadium where they remain to this day. Rovers also played five home games at Ashton Gate Stadium, home of rivals Bristol City, following a fire which destroyed the South Stand of the Eastville Stadium on the night of the 16–17 August 1980. Rovers returned to Eastville in October 1980. During World War II, some friendly matches were played in Kingswood, and in their early history some games were played at Parson Street, Bedminster. Eastville Stadium, also known as Bristol Stadium, was a stadium in the Eastville suburb Bristol. Constructed in 1897, Rovers played their home games at Eastville (nicknamed “The Ville”) until they were forced to leave after financial difficulties in 1986. As well as football the venue was also home of the Bristol Bulldogs speedway team and used for greyhound racing. It was also the home of the short-lived American football team Bristol Bombers in 1986. The record attendance at Eastville was 39,462. The stadium still held greyhound racing up until 1997, before being demolished in 1998 to make way for an IKEA superstore. The stadium was built near to a gas holder, this gave rise to the nickname used for Bristol Rovers fans of “The Gas” or “Gasheads” thanks to the constant smell of town gas in the air. Rovers fans now refer to themselves as Gasheads as a badge of honour. Originally built in 1935, The Tote End known simply as the Tote was a large section of covered terracing set to the curve of the greyhound racing track behind one of the goals. With a small covered section in the South-West corner. The Totaliser clocks mounted first on the back of the terrace and then after a larger roof was added in 1961 to cover most of the terrace, on the roof fascia, gave it its name. A favoured spot on match days for the more vociferous Rovers fans, and given the nature of football in Britain in the 1970s, The Tote had a boisterous and intimidating atmosphere. It became notoriously linked with bovver boys and hooliganism – a period documented by the book Bovver by Chris Brown. Sadly, The Tote End was bulldozed in 1986 shortly after Rovers left Eastville. Twerton Park is the home ground of Bath City FC, in the Twerton suburb of Bath. In 1986, Bristol Rovers signed a lease to share Twerton Park with Bath City as their home ground following their departure from Eastville, much to the concern of local residents who feared the consequences of several thousand Rovers fans arriving in Twerton to watch the games. The only major incident occurred in 1990 when some Bristol City fans set fire to the Main Stand. 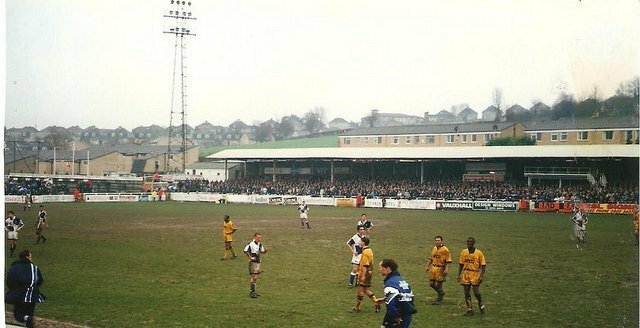 Bristol Rovers stayed at Twerton Park for some 10 years, before moving on to the Memorial Stadium at Bristol. The Gas took on Liverpool and Manchester City among other opponents at Twerton. Success in the league was achieved by Gerry Francis in his third season as Bristol Rovers manager. The team won the 1989–90 third division championship, clinching promotion on 2nd May 1990 with a 3–0 victory over rivals Bristol City, beating them to the title by 2 points. The championship winning season was rounded off by the club’s first ever appearance at Wembley Stadium, where they lost 2–1 to Tranmere Rovers in the final of the Leyland DAF Cup. Opened at the end of June 1909 as Innox Park thanks to land donated by Thomas Carr. The grounds opening ceremony involved the singing of hymns, a parade of scholars and a the chairman of the parish council gave a speech. Twerton Park became Bath City’s ground in 1932 and has also hosted Team Bath from 2004, who were affiliated with the University of Bath and played in the Conference South until their resignation at the end of the 2008–09 season. The Memorial Stadium, also commonly known by its previous name as the Memorial Ground was the home to Bristol Rugby from its foundation in 1921, the Rugby club later moved to Ashton Gate in 2014 after becoming part of the Bristol Sport franchise. The Memorial Ground is dedicated to the memory of local rugby players of Bristol who were killed during the First World War. In 1921 it became the Memorial Ground, home of Bristol Rugby Club, and was opened on 24 September that year by G. B. Britton, the Lord Mayor of Bristol, as a home for Bristol Rugby Club. Situated on Filton Avenue in Horfield, Bristol, it has developed significantly over the years. 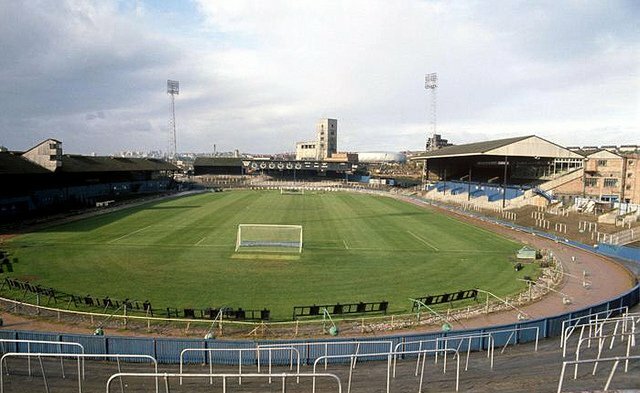 With the advent of leagues in the late 1980s, Bristol looked to develop the ground, replacing the old Shed on the north side with the Centenary Stand to mark the club’s 100th anniversary in 1988. The West Stand, an original feature of the ground, was demolished in 1995 having been condemned, and replaced. 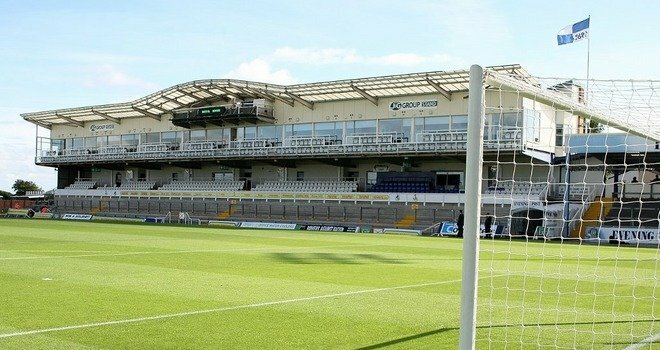 In 1996, Bristol Rovers moved in as tenants of Bristol Rugby Club, and then entered into joint ownership through the Memorial Stadium Company. This arrangement failed after just two years as in 1998 the rugby club was relegated from the Premiership (causing them severe financial difficulties) and under the terms of the agreement Bristol Rovers were able to buy Bristol Rugby’s share of the stadium for a ‘nominal fee’, a clause designed to protect either party should one or the other fall into financial difficulties). The rugby club has since been tenants in their original home. By 2005, the Memorial Stadium was hosting Bristol Rugby Club back in the Guinness Premiership, with Bristol Rovers continuing to compete in the lower levels of the Football League. A roof was added to the Clubhouse Terrace (paid for by Bristol Rovers Supporters’ efforts) and temporary stands at the south and south-west of the ground have brought capacity up to 11,916. In February 2013, after months of speculation, Bristol Rugby announced that they would move and share a ground with Bristol City at the redeveloped Ashton Gate Stadium. The rugby club played their final game at the Mem on 4 June 2014, a Championship play-off final second leg against London Welsh. There was no fairytale ending for Bristol though as London Welsh won the game 21-20 to condemn the side to a sixth straight season outside the Premiership. The total capacity of the Memorial Stadium stands at 11,916, although this figure is reduced to 11,724 after the segregation of home and away supporters is accounted for, around 3,000 of which is seating.